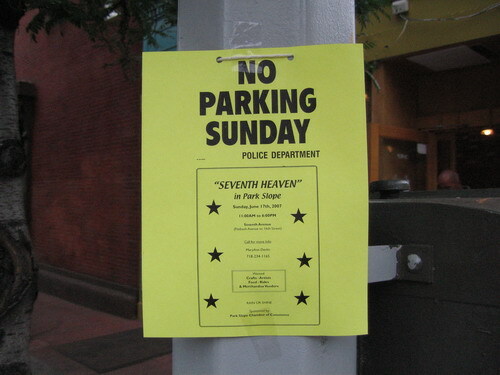 Seventh Heaven is likely to be the last street fair about which we write (other than with annoyance) until the Atlantic Antic in late summer. The Seventh Avenue street fair takes place in Park Slope on Sunday (6/17). We lament the fact that it's one of the city's big and more generic ones (plenty of tube socks if you're needing them, plus the people demonstrating and selling the miracle mops), but it's a big Park Slope event, so it's worth mentioning.